Hi there! This week I’ll be spotlighting some sweet historical reads I’ve collected in the past month or so. Today I’m kicking it off with a new historical fiction release, out today, from Melanie Benjamin. THE GIRLS IN THE PICTURE calls back to the early days of film, and how women–who’d had a big part in shaping that industry–were often left behind. It focuses on the friendship between star Mary Pickford and screenwriter Frances Marion, as a lens to the history of Hollywood. 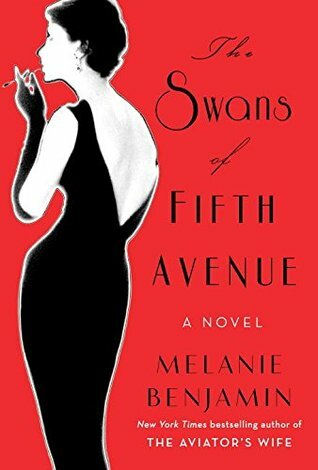 I also enjoyed THE SWANS OF FIFTH AVENUE by Ms. Benjamin, a novelization of Truman Capote’s life and connections, which is also historical fiction. 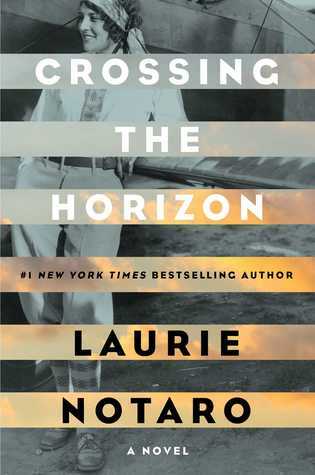 Other books in this genre that I’ve liked include CROSSING THE HORIZON, and LISETTE’S LIST. Mary Pickford and Frances Marion, not two names I’d say ring loud for contemporary movie aficionados, like me. This historical novel centered on their lives and friendship weaves a 60-year experience into a rich and textured story that left me emotionally hollowed and filled, by turns. Mary Pickford was an actress at age 5, responsible for earning a living that supported her mother and two younger siblings once her father died. She gave up her childhood to be on the stage, and earn money, and later star in “the flickers” short silent movies that were shown in storefront “theaters” known as nickelodeons. As her career progressed, she became creatively involved, writing, staging and editing her own films. Frances Marion, a twice-divorced sketch artist, fell in love with the movies when she moved to LA from San Francisco during her second marriage. 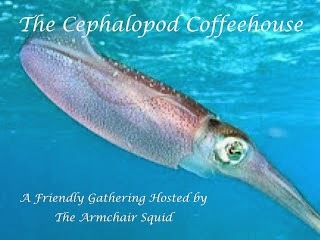 It was a chance meeting with Mary’s philandering first husband that brought Mary and Frances in contact. Frances wanted to learn all about making movies, and never wanted to be an actress–a plus for building ties with Mary. Mary’d learned some very basic lessons about humanity in her years as a performer, but she recognized Fran for being a solid woman who might be a confidant, and friend, in the business. Mary had few of them in her life. Together, they made a powerful creative team, once Fran got the hang of writing for the screen–a skill Mary helped her cultivate. I don’t want to divulge too much of the plot. The lives of these ladies intersected professionally and personally a great deal. Fran wrote exclusively for Mary’s films for a time, and helped rocket Mary to stardom, in some ways. Mary, a standoffish person, had trouble believing people were on her side, and lived in mortal fear that making personal choices, like divorcing her cad of a husband, would upset her fans and she’d be back to the poverty she grew up in. What was remarkable was the struggles Mary and Fran suffered professionally still exist for women today. They were fierce women looked down upon by the men who held the money and power in the fledgling world of film. They were pinched, and overruled, and groped, and belittled, and had to keep cheery smiles for the camera–so many of their professional pictures reflected their isolation as the only women in the picture. They did have falling outs, and reunions. Their relationship isn’t all sunshine and Academy Awards. No, they had disappointments and jealousy and needed to lift each other, and themselves, up many a time. They had uncaring husbands, and abusive partners and alcoholism to contend with, but they left a mark on the business that they helped to create and this was beautifully captured in print, not celluloid. Mary was a founding member of United Artists and AMPAS, as well as being the second woman to win an Oscar. Fran helped to form the Screen Writers Guild, and both weathered the transition from silent film to “talkies” in different ways. I’ll admit to being captivated throughout by the resilience of these women. Fran was the first American woman to cross the German Frontline in WWI as she helped film women assisting the US forces. Mary supported her entire family for decades, through famine and feast, from the age of 5 or 6. Astonishing. I’ll be honest, I’d only barely heard of Mary Pickford, and I’d never heard of Frances Marion before opening this book…and I’m a fan of older movies. My father and I passed many an evening watching AMC Classics when I was younger, yet, I hardly watched any silent film. There’s a reason for that, which the book makes clear: lots of those movies were lost to the vagaries of time and poor storage. Still, I’m a fan of movies, and historical fiction, and stories about strong women, so I began my second Melanie Benjamin book with high hopes that were completely exceeded. 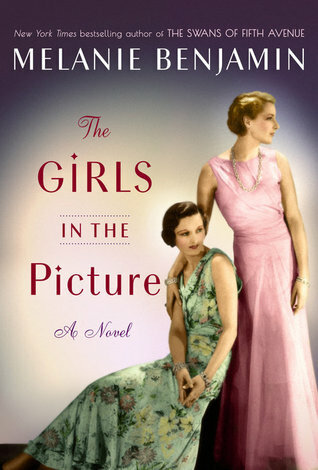 The premise seemed simple, read about the beginnings of Hollywood as told through the lives and friendship of two women who were there at the start. Wow. What an understatement of this reading experience. I know it’s a novelization, and the author clearly states that she fabricates some scenes, but I still feel awed by the lives of Pickford and Marion. They were pioneers, and tried to create an egalitarian Hollywood that struggles to exist today. I remember thinking how the sexism Mary and Fran experienced is reflected daily in the tabloids on my grocer’s checkout. To borrow an adage from my father: the more things change, the more they stay the same. (He surely borrowed that from someone, but I don’t know whom.) And that’s a pretty sad commentary on how far we haven’t come in terms of sexual equality since Fran met Mary in 1914. Interested? You can find THE GIRLS IN THE PICTURE on Goodreads, Amazon, Barnes & Noble, iTunes and Kobo. I read a review copy provided by NetGalley. Melanie Benjamin is the author of the New York Times bestselling novels THE SWANS OF FIFTH AVENUE and THE AVIATOR’S WIFE, as well as the national bestseller ALICE I HAVE BEEN, and THE AUTOBIOGRAPHY OF MRS. TOM THUMB. THE GIRLS IN THE PICTURE, about the creative, feminist friendship between Mary Pickford and Frances Marion, icons of early Hollywood, will be out in January 2018. She lives in the Chicago area with her husband and is currently at work on her next historical novel. You can catch up with her on her website, Facebook and twitter.